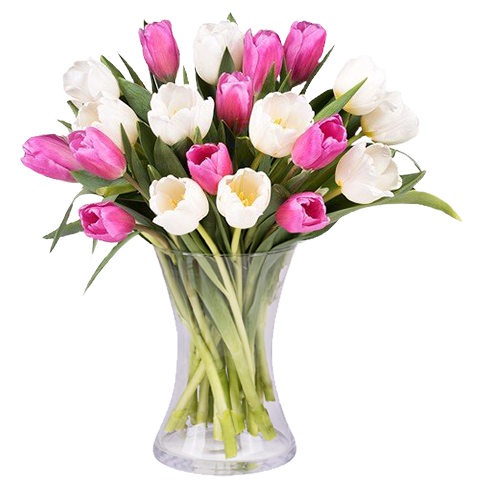 Welcome spring today with the simple yet elegant mix of pink and white tulips in a darling bouquet. This selection of flowers is the perfect way to wish the best birthday greetings for a spring celebration, to show your mom your appreciation for all she has done for you this Mother's Day or just to share with someone who loves fresh spring vibes. Beautiful bouquet of flowers and great service. Tulips are lovely and happy that many flowers are still closed. FloraQueen Mallorca is a great company.